Announcing In-House Precision CNC Machining! Home /Blog /Announcing In-House Precision CNC Machining! Brass Roots Technologies today announced the acquisition of a precision Vertical Machining Center. The new asset will directly support Brass Roots' custom engineering design and prototyping business. "Rapid prototyping of advanced optical / mechanical designs is a core element of the Brass Roots' value proposition. Until now we've had to rely on 3rd party providers to supply custom machined mechanical parts, usually at significant lead-time and expense. The addition of in-house CNC machining dramatically enhances our ability to quickly deliver full-performance prototypes while also reducing pass-through expenses for our clients. Together with SolidWorks and Mastercam® design tools, Brass Roots can now design and build rapid prototypes in just a fews days, and in some case just a few hours. We're excited to announce the acquisition of this valuable new asset and capability," said Frank Poradish, President of Brass Roots Technologies. 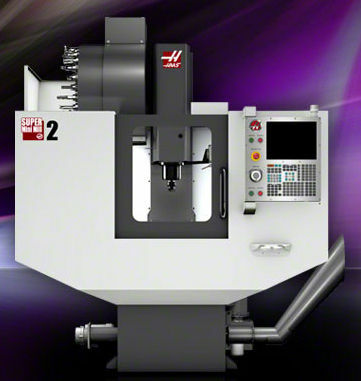 With 15 peak hp and a 10,000 RPM spindle, the HAAS Super MiniMill2 vertical mill offers a great combination of speed, precision and size handling to support high-performance optical / mechanical prototype assemblies for Brass Roots' clients. Brass Roots Technologies, based in Plano, TX, provides engineering design services and technologies for advanced imaging and display systems. With deep expertise in high-performance Opto-Mechanical and Electronic systems, Brass Roots develops targeted system solutions for OEM clients worldwide. To learn more, please visit BrassRootsTech.com.